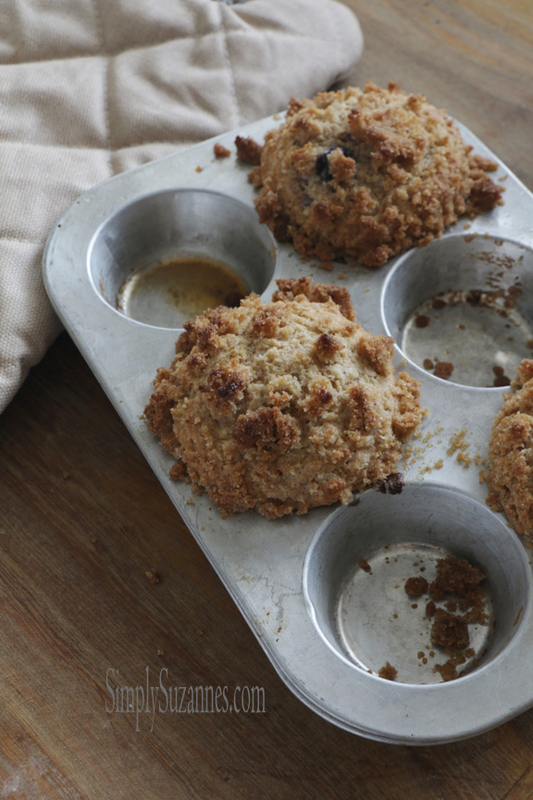 We LOVE this whole-wheat muffin recipe from Cook's Illustrated! It's NOT a new recipe in my baking repertoire, but it is my first time sharing it on the blog. I've tried many whole-wheat recipes over the years that were too heavy, and worse yet - DRY. So I was excited when I found Cook's Illustrated's recipe for 100% whole-wheat blueberry muffins. They boasted that their whole-wheat muffins were moist and tender. Really? A 100% whole-wheat muffin that's both moist and tender!? I know I say it often, but Cook's Illustrated has delivered yet another amazing recipe. 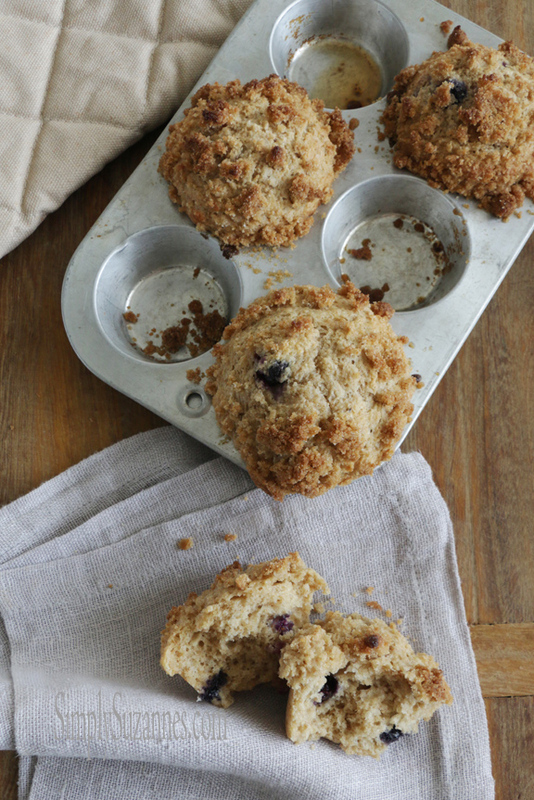 Because these muffins are 100% whole-wheat, they have the most delightful nutty flavor. The crumb is tender and moist (a WIN-WIN in my book! ); and the streusel gives just the right amount of sweet and crunch. YUM! Although the recipe calls for blueberries, I've also used fresh (and frozen) blackberries, and mini chocolate chips. They're all great! I alternate making these - and whole-wheat pancakes - on Sundays so that we can enjoy them hot out-of-the-oven as a special treat on the weekends. I individually wrap the extras, and send them with the Littles to school for a snack throughout the week. I can't tell you how happy I am to have found such a healthy and yummy treat for my family. I even add 1-2 Tablespoons of white chia powder to the batter for extra nutrition; and the best part - no one knows I added it! I hope I've inspired you to make a batch this weekend to share with your family and friends! 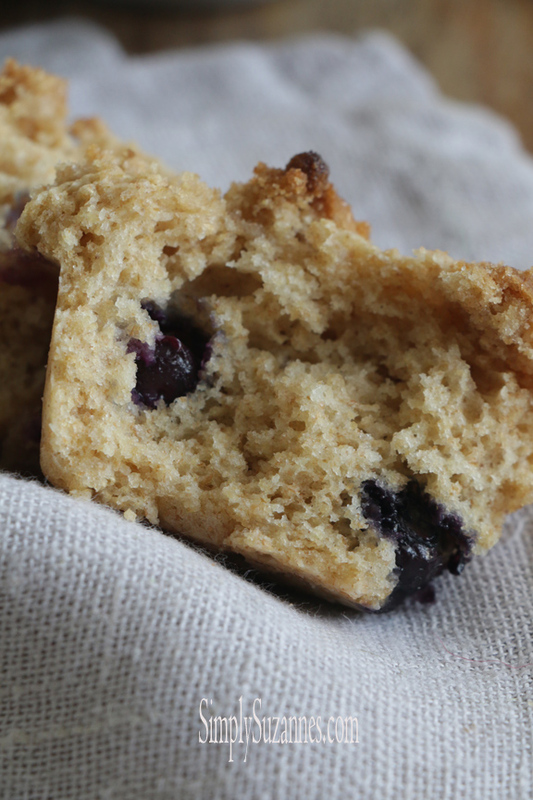 You can substitute frozen (un-thawed) blueberries for fresh in this recipe. Combine granulated sugar, brown sugar, flour, and salt in bowl. Add melted butter and toss with fork until evenly moistened and mixture forms large chunks with some pea-size pieces throughout; set aside. Adjust oven rack to middle position and heat oven to 400 degrees. Spray 12-cup muffin tin, including top, generously with vegetable oil spray. Whisk flour, baking powder, baking soda, and salt together in large bowl. Whisk sugar, eggs, melted butter, and oil together in separate bowl until combined, about 30 seconds. Whisk buttermilk and vanilla into sugar mixture until combined. Do not over-mix! Stir sugar mixture into flour mixture until just combined. Gently stir in blueberries until incorporated. Using heaping 1/4-cup dry measuring cup, divide batter evenly among prepared muffin cups (cups will be filled to rim); sprinkle muffin tops evenly with streusel. Bake until golden brown and toothpick inserted in center comes out with few crumbs attached, 18 to 20 minutes, rotating muffin tin halfway through baking. Let muffins cool in muffin tin on wire rack for 5 minutes. Remove muffins from muffin tin and let cool 5 minutes longer. Serve. No ... no ... no ... I do not need t make these. I would eat them all! Oooh, yum! 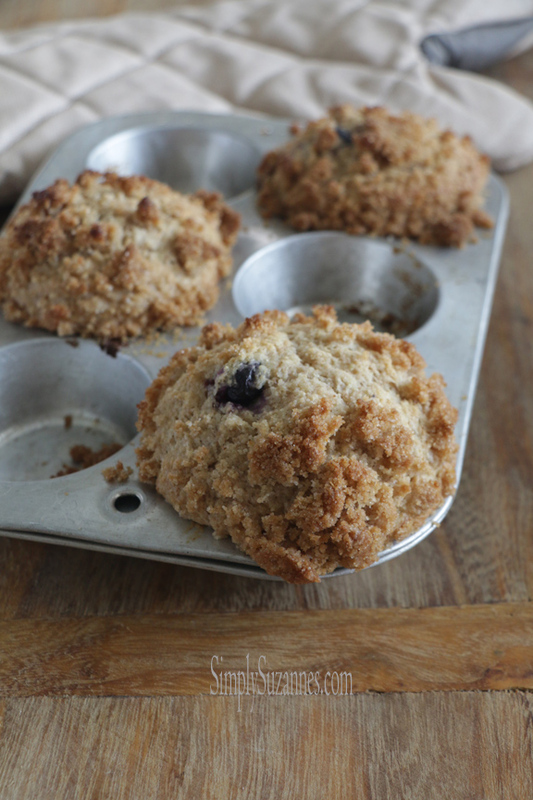 I love muffins with streusel on them and I love baking with whole wheat. These look perfect! They look delicious! I just made some cinnamon pecan muffins for my kids. 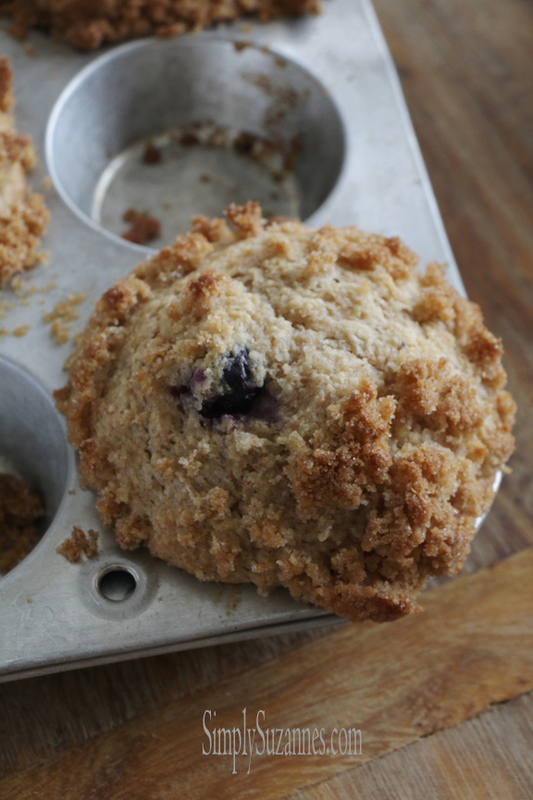 Streusel topping is my absolute favorite and these muffins sound so delicious. 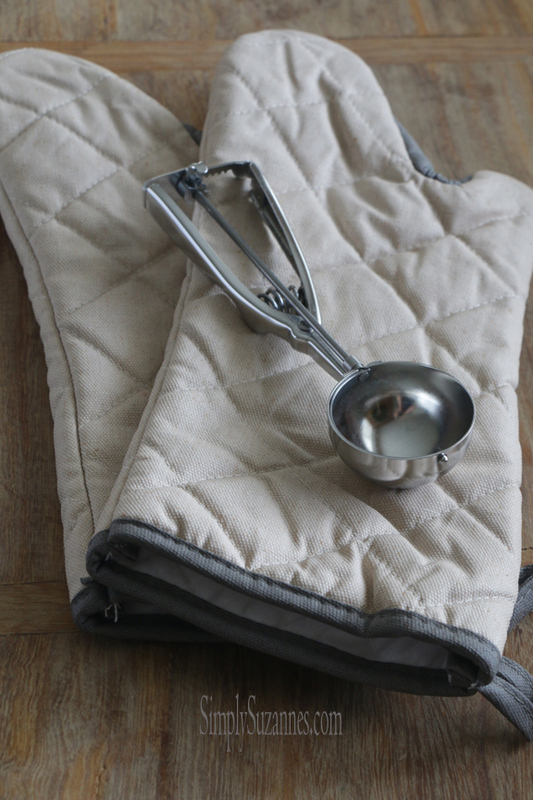 I don't have baking things where we are now, but once we get back home I'll be baking up a storm. I miss putzing in my own kitchen. I love the addition of the blueberries in the muffins. I can picture taking these along for a good nutritious snack. YUM!! Hope your weekend is starting well. Sending big hugs!! Sounds like they're worth a shot to me! I love Cook's Illustrated. I have a couple standbys from them, too.